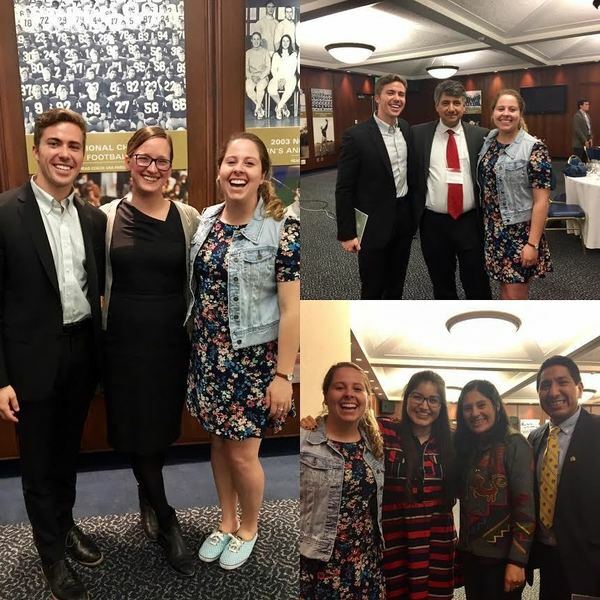 Jennifer Martin is delighted to announce that two of her senior thesis advisees have won prizes for their work in this year’s Robert S. Pelton Essay Contest through the Kellogg Institute for International Studies. Elaine Schmidt’s thesis, “Un Oído al Pueblo: Finding God and Beauty in the Catholicism of the Peruvian Andes,” won first place in the undergraduate category (with a $500 cash prize), and Warren Kraemer’s “The Role of the Papacy in Restoring Cuban-American Relations” was one of two runners-up (with a cash prize of $100). Peter Casarella from Notre Dame’s Department of Theology provided invaluable guidance as co-director for both theses, and Victor Maqque was involved with Elaine’s thesis as well. Originally published by Debbie Kabzinski at pls.nd.edu on March 28, 2017.